A dark, high-concept psychological suspense thriller for fans of BEFORE I GO TO SLEEP by S.J. Watson and Gillian Flynn's GONE GIRL. Ten years ago she disappeared without a trace...now she's back. On 31st December 1999, ten-year-old Amy Archer went missing from her local playground. Her body was never found and the lives of her parents, Beth and Brian, were torn apart. On the tenth anniversary of the disappearance, Beth is alone, still struggling with the enormity of her grief and the horror of not knowing the fate of her only child. But the fear and confusion have only just begun, and Beth's world is turned upside down when a stranger knocks on her door, claiming to know what happened to Amy. Beth is introduced to a little girl who is the uncanny double of her missing daughter, who knows things that only Amy would remember; the name of her favourite toy, the place where she scratched her initials, what Beth likes for breakfast. But this can't be Amy, she hasn't aged a day...Now Beth is forced to question everything she has ever believed in, and push her faith and her sanity to the limits, if she is to find out the truth about what happened to Amy. THE SECOND LIFE OF AMY ARCHER is a taut, chilling debut novel from an exciting new voice in British psychological suspense. 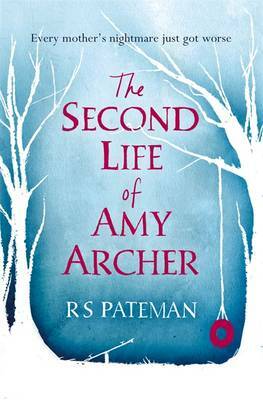 Just finished reading The Second Life of Amy Archer by R S Pateman. I was totally hooked from the first page, such a unique story line! !